UPDATE: KGW news has photos of a raid. 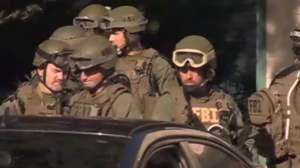 FBI agents dressed paramilitary. More photos on KGW.